Our luxury, Thai-style Beach Villas were created to strike the perfect balance between nature and a bespoke, western-style standard. 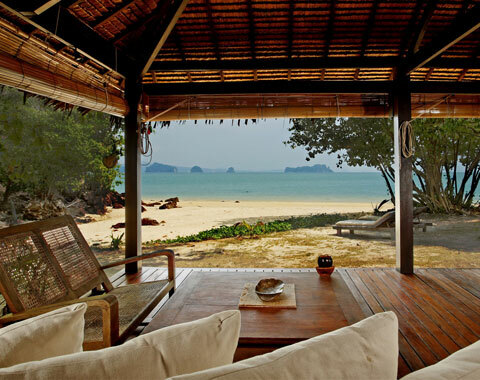 Made from local hardwood from our island of Koh Yao Noi, Thailand, and with natural palm leaf roofs which do not contain the heat and, along with the sea breeze, keep the villas nice and cool. These amazing resort rooms offer everything from open-air studios to family sized villas. If you want that Thai open air experience within a luxurious resort style environment then our Koyao Beach Villas are the perfect choice. Our open air Sea Breeze Studio is especially designed for couples with a spacious furnished bedroom and indoor bathroom. 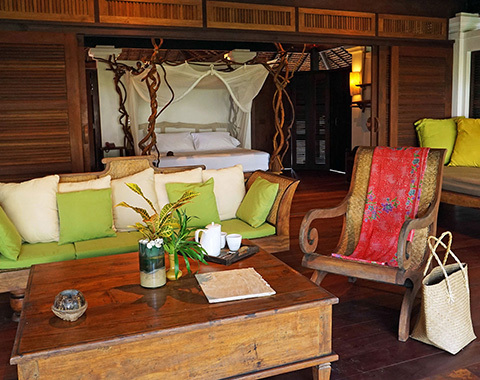 Our open air Beach Villa is especially designed for couples, but has the option and ability to accommodate three guests in this luxurious resort. 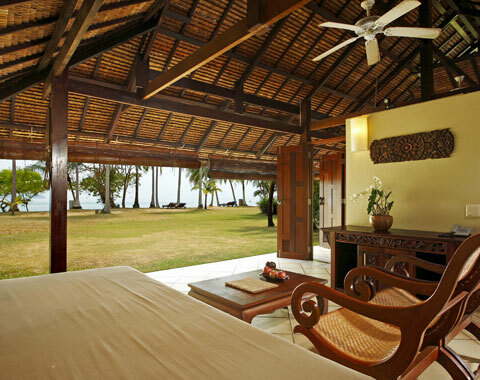 The Beach Villa Suites are located only footsteps away from the stretch of 220 meter own beach. They are considerably more spacious and have a large bathroom with a double bathtub. Our open air Family Beach Villas have been designed with families in mind. 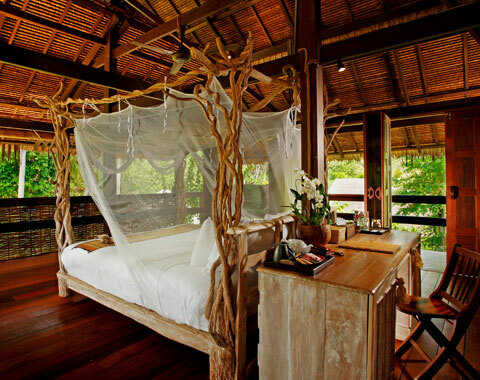 Each Villa contains 2 king sized beds providing a comfortable stay in the beautiful island of Phang-nga.